Gliding through the streets of the fate-filled city of Bete Noire, the Fallen Angel has been a force both for good and evil. 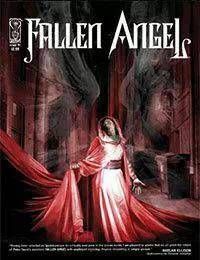 But her origins have remained as mystery-cloaked as the Angel herself... until now. See the truth of her background unfold for the first time as the most formidable opponent shes ever faced tracks her down with an offer that she may not be able to refuse... even though, in accepting it, the life she knows may well be over.